When my kids were small, I was lucky enough to find a few great Nick Hotel deals and decided to check it out. From the moment we arrived at the Nick Hotel Orlando Florida, I fell in love. It wasn’t that the hotel was shiny and new or that the rooms were incredible. It was the staff, the pool and the entire attitude of the resort. This summer the Nick Hotel Orlando Florida is celebrating its 10th birthday! 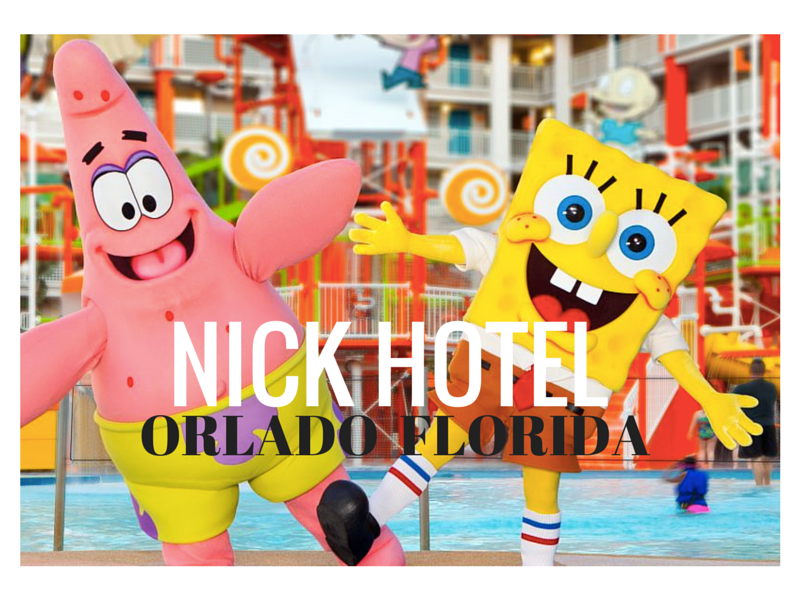 Here’s what I love about the Nick Hotel Orlando Florida and where to find the best Nick Hotel deals to join in on the fun. Since our original visit to the hotel, the Nick Hotel has done substantial upgrades. From the paint to the character images and main lobby, the hotel is looking fantastic. The hotel has installed a stronger wi-fi that is included in the daily resort fee and is not an additional cost in the room. 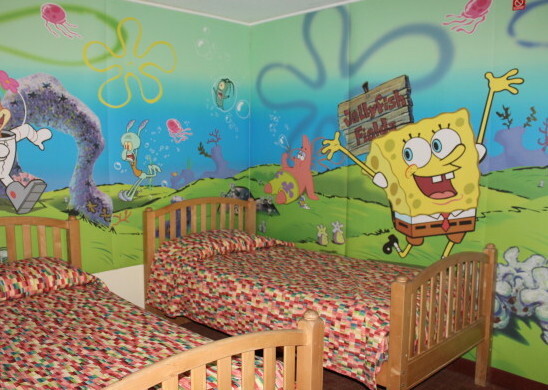 We stayed in a 2 bedroom SpongeBob suite that has room for up to 6 people. It was nice to have a separate sitting room when the kids went to bed and a small kitchenette with a microwave and sink. The resort has two main pools. Both have sizeable water slides. This was the first year that both my kids were tall enough (40″) to go down the slides and we had a blast. We spent an entire afternoon going up and down slides and checking out the pool. The pool also has a bar and take out restaurant which makes feeding your kids a lot of easier. One of my favourite touches about the hotel is the splash pad for kids under 40″ tall. This space gives toddlers an area of their own. Older kids are not allowed in the space and it makes for a nice escape for parents of toddlers who want to sit and just let their kids play on the smaller slides and in the fountains. The Nick Hotel Orlando Florida also has an adult only hot tub and a separate family hot tub. I cannot tell you how nice it is to relax at the end of a long day in a spa meant for people over the age of 16. 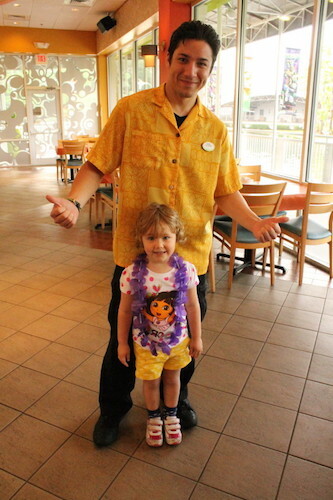 You cannot step far into the resort without bumping into Spongebob Squarepants or at least one Ninja Turtle. I loved that meeting the characters at the resort was easy and free. Most often we randomly bumped into some while walking through the resort and they always stopped for photos and hugs. The Nickelodeon Resort also offers some great shows. In the afternoon, kids of all ages are treated to poolside shows with a variety of contests. 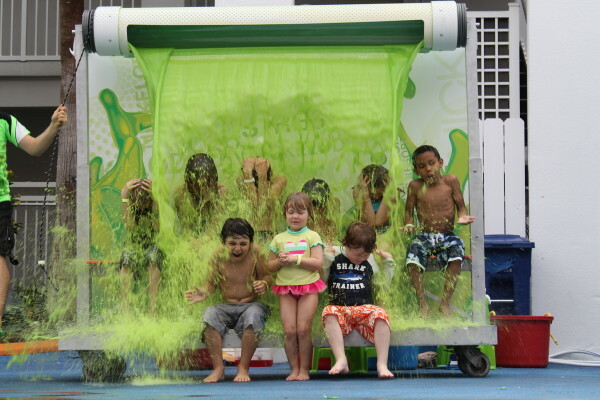 The winners of the contest win the opportunity to be slimed with pool safe slime. At night, Nickelodeon hosts the Double Dare show where contestants 8 and over compete in challenges and an obstacle course and even get slimed with real Nickelodeon slime. 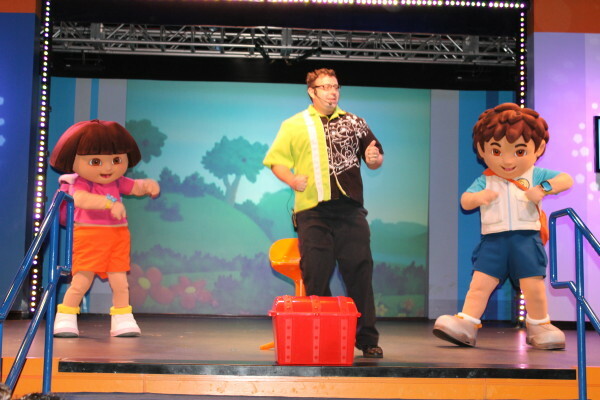 Recently, the Nickelodeon Resort has added a Dora story time to their lineup that should not be missed. Happening a little before bedtime, the story time allows kids to step into a Dora story and ends with a Dora and Diego meet and greet. I thought Will at nearly 6 would be to old for this show but both my kids loved it. As I looked around the room, it was funny to see so many parents singing along. When staying at the hotel, make sure to attend at least one character meal. 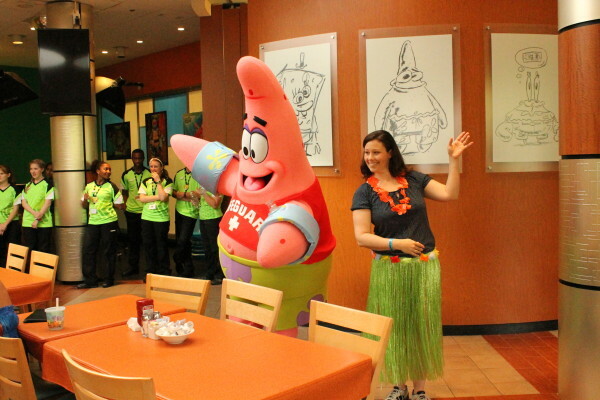 We attended the SpongeBob’s Bikini Bottom Breakfast which was so much fun, I didn’t even want to leave. After having attended at least 4 character meals over the years, I can tell you that this is the most interactive you will see characters anywhere in Orlando. 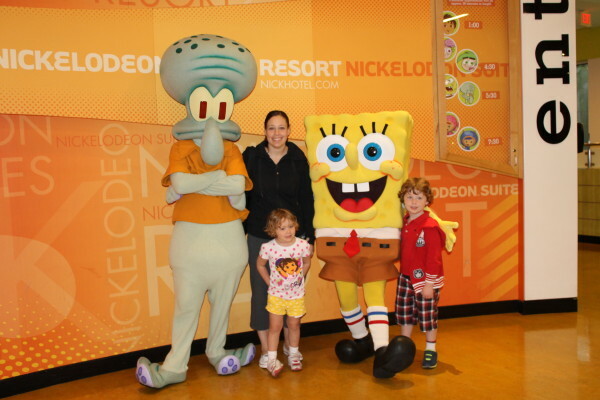 Unlike other experiences that are quick photo opportunities, the characters at the Nickelodeon Suites Resort will dance with and even play ball with your children. There are also an influx of characters and no time during the breakfast where there aren’t at least 3 characters in the room. My tip for the breakfast is to book an early breakfast between 7:30 and 9:00 am. The breakfast is less busy and there is more room to dance and have fun. Nickelodeon is currently hosting a Teenage Mutant Ninja Turtles Pizza Night which will keep older kids completely entertained. I found that the cost isn’t much more than you would pay for breakfast or dinner elsewhere. I love the staff at the Nick Hotel and was pleased to see that the staff from my last visit 2 years ago were all mostly still there. The staff are all incredibly happy and fun at this resort. During our last visit, we had an incident where Charlie jammed her hand inside a sliding door. The incident was entirely our fault and one of those “how did that happen” moments. Four staff members saw the incident occur from the restaurant and immediately ran to help us. A young man named Zach took Charlie by the hand and got her some ice while making incredibly funny references to the movie Frozen. The characters even rushed over to help while Squidward gently rubbed my back to make sure I was okay. The next morning we attended the breakfast and the characters and staff all came over to make sure she was okay. We also received a call from the hotel manager checking in on her. All in all, it was the most welcome and comforted I have felt at any hotel in a long time. Why Choose the Nick Hotel Orlando Florida? With so many hotel choices in Orlando, it is easy to overlook the Nick Hotel. No matter where you are headed, I highly recommend spending a least one day and night at the resort to experience some real family time. While staying on property, there is no need to rush out to parks or entertainment as it is all available within the resort. Each time I visit, I spend time enjoying being with my kids and marvelling at how stress free the whole thing is. We even experienced a major thunderstorm and 3 hour pool closure which in no way affected our day. We went inside and visited the 4D movie theatre and hit up the arcade. The other major reason to visit is that it is frankly a lot cheaper than other hotels in the area. On the booking website, you will find a variety of Nick Hotel deals and at least one deal that will apply to your family. 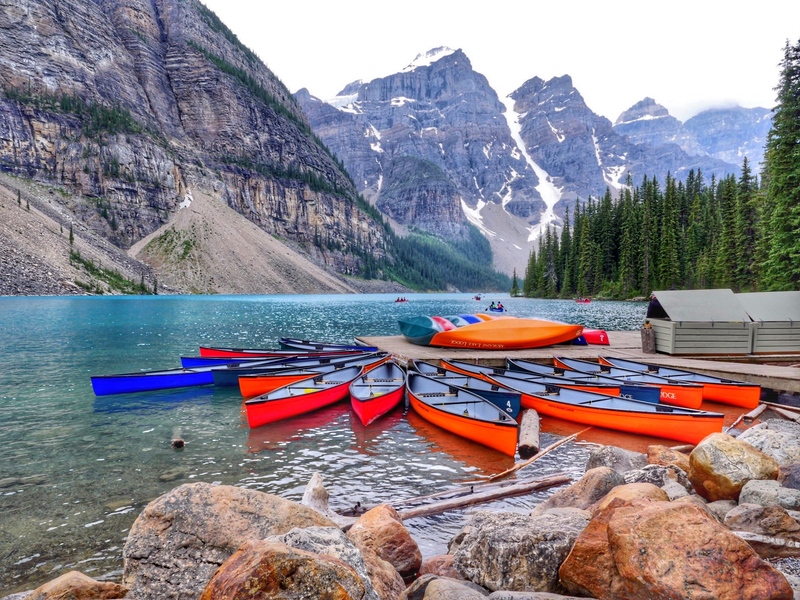 The hotel offers early booking deals, military discounts, deals for Canadians, vacation packages and theme park deals with Universal Orlando and Legoland. See the following link for current Nick Hotel Deals. 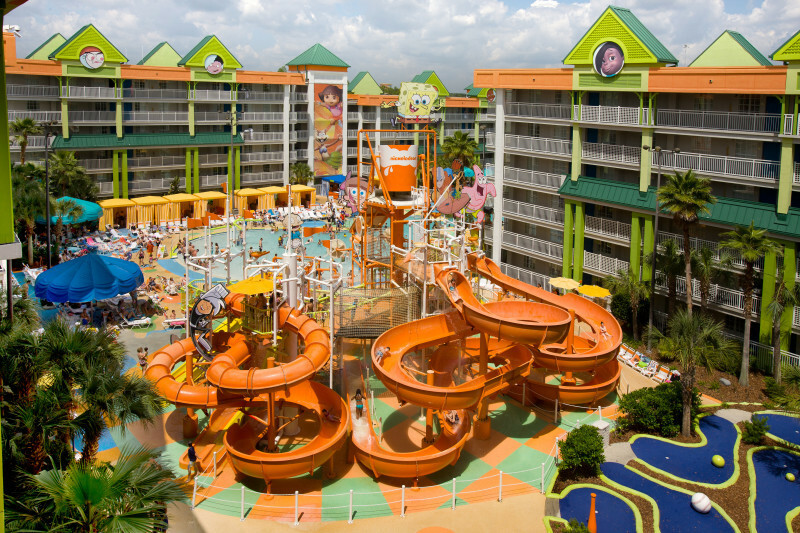 Have you stayed at the Nick Hotel Orlando Florida? Stay tuned for more Nick Hotel deals! That looks like a great place for the kids. Thanks for such a complete review. I agree with you that good staff is just as important as what the hotel looks like, if not more. Thank you for the article, it does indeed look like a nice place for the kids. I am considering a family trip in the area next year and I compared some prices and apparently the Nick Hotel is pretty reasonably priced so it might be our first choice. However, I was wondering if it is appropriate for pets as well, the kids would love it if we could bring our Lab with us. Does anyone know more on this matter. Thanks in advance! It’s no longer pet friendly but thanks for asking.